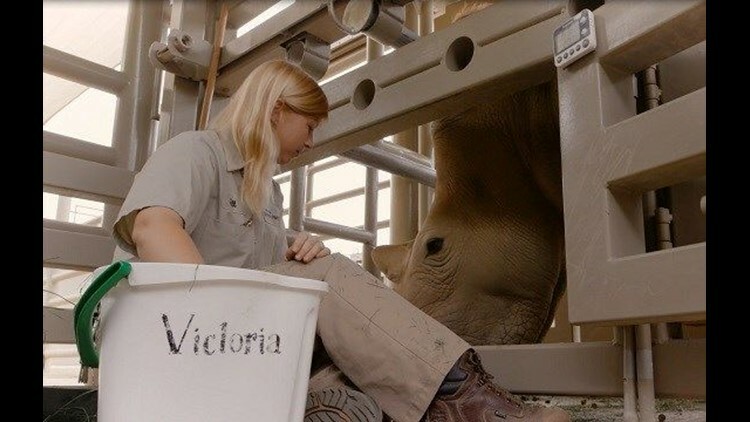 Victoria and the other five female rhinos were relocated to San Diego's Safari Park in 2015 and scientists will soon start developing artificial insemination techniques and embryo transfer techniques for them in their effort to produce northern white rhino calves. Once that happens, there will be more work to develop techniques that include maturing eggs, fertilizing eggs and growing embryos to the stage where they can be transferred into the surrogate rhinos. 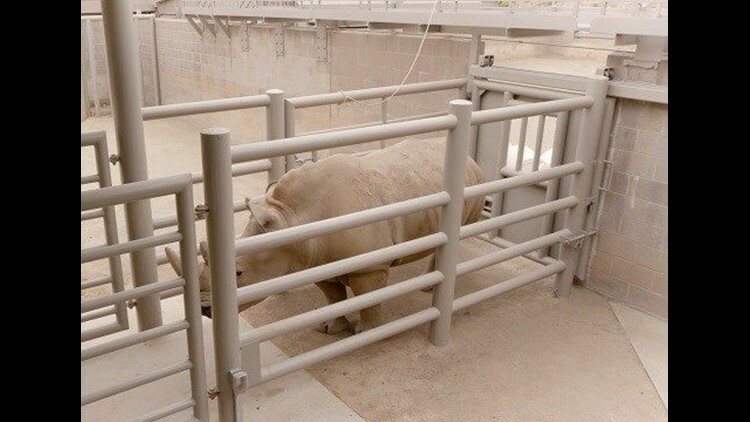 While embryos have been created for southern white rhinos, they haven't been for northern white rhinos — so there's no guarantee that the process will work.